The moon plays a very important role in astrology for making predictions and forecast. Now it is known to all that a moon shifts through different phases on different days of a month. The different phases have different effects on the horoscope of a person. Thus the knowledge of the different moon phases is very essential. 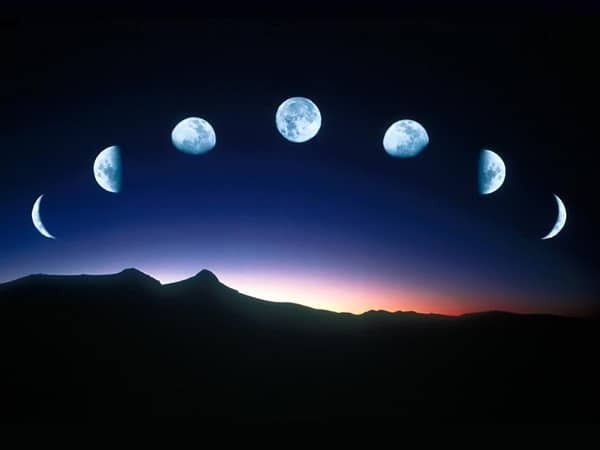 The moon shifts through different phases because of the rotation and revolution of moon and earth. In addition to this, the relative position of earth in respect to moon and sun also leads to different phases. 27 days and 7 hours is the time required by moon to take a complete revolution around the earth. Moon doesn’t have light of its own like the sun hence it reflects the light of the nearest star that is the sun. Thus only that part of moon is reflected which is facing the sun. Different parts of the moon are facing the sun at different times of its revolution. Due to this entire process different parts of the moon are visible on earth at different times. This is how the moon shifts through the different phases. The one possible exception to all this is during the lunar eclipse. During lunar eclipse the sun the earth and the moon get aligned in one straight line. During the circle of revolution in the orbits, the moon and sun are placed on two opposite sides of the planet earth. When this happens moon appears brighter and in full round shape. This is called the full moon phase or the full moon day. When the position of moon shifts and it comes between the earth and the sun then a different phase called the Dark moon or the new moon appears. Between these two phases six other phases are formed. There are a total of eight prominent moon phases. These lunar phases are the First quarter, Waxing Crescent, New Moon, Waning Crescent, Third Quarter, Waning Gibbous, Full moon and Waxing Gibbous. There is a fixed time for each of these phases. The 2014 moon phase calculator presented over here is extremely accurate. It helps one in finding the moon phase on any date. All one needs to do is enter the date, month and year on which the moon phase is to be found. After that the user selects the Calculate moon phase button. The detailed report of this test gives a picture of the phase of moon on that particular day. The report also contains the current date and time. The moon phases are important for astrology and several festivals, thus its knowledge is extremely important. Hence one must use this free and accurate Moon Phase Calculator for 2014.